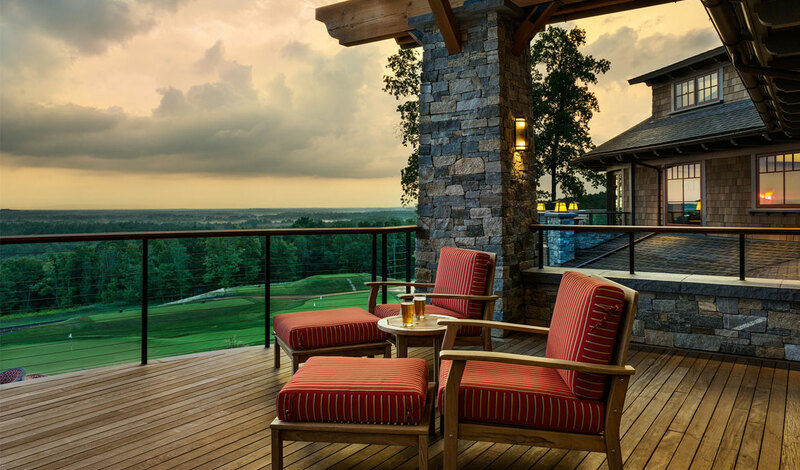 In recent years, many country clubs have transitioned from a formal and stuffy atmosphere to one that projects a modern, family-oriented feeling. 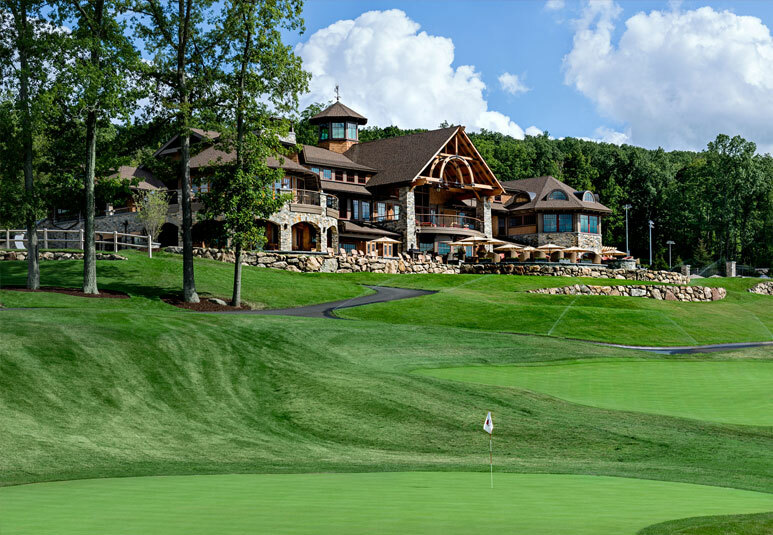 The latter is exactly what the new owners had in mind when they purchased the Hampden Country Club in 2012. 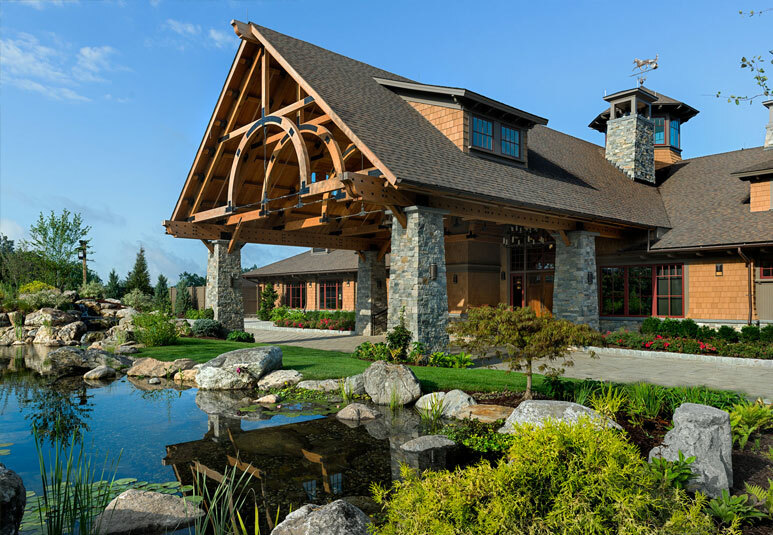 The clubhouse, which is set on a sweeping golf course, combines Western Arts and Crafts with a New England farmhouse style to invoke a familiar and slightly worn-in feel. 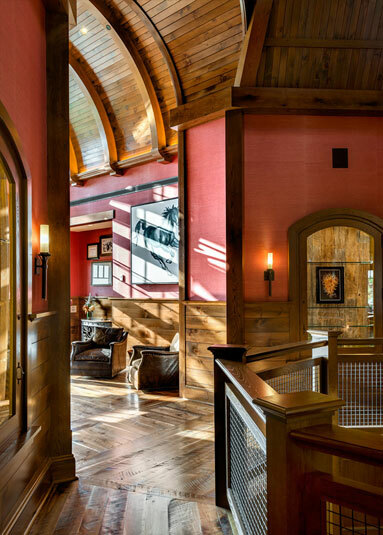 The juxtaposition of rustic woodwork and modern amenities ensures that guests feel completely comfortable and relaxed in the space. 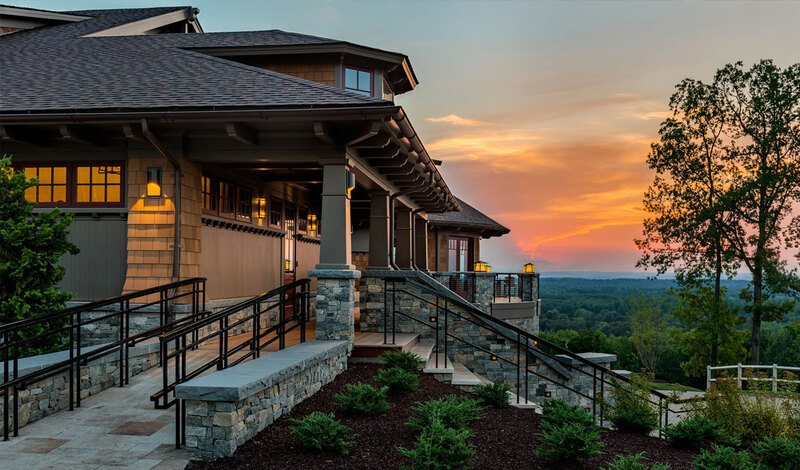 GREATHORSE is not a typical clubhouse and neither should the experience. 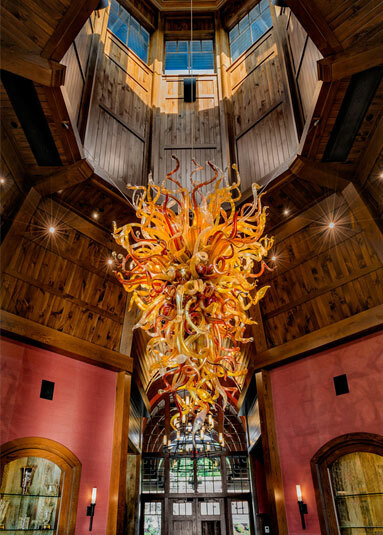 Movement through the building was designed specifically to enhance the opportunity for chance meetings, the viewing and exploration of artwork and enjoying the comforts of casual social spaces. 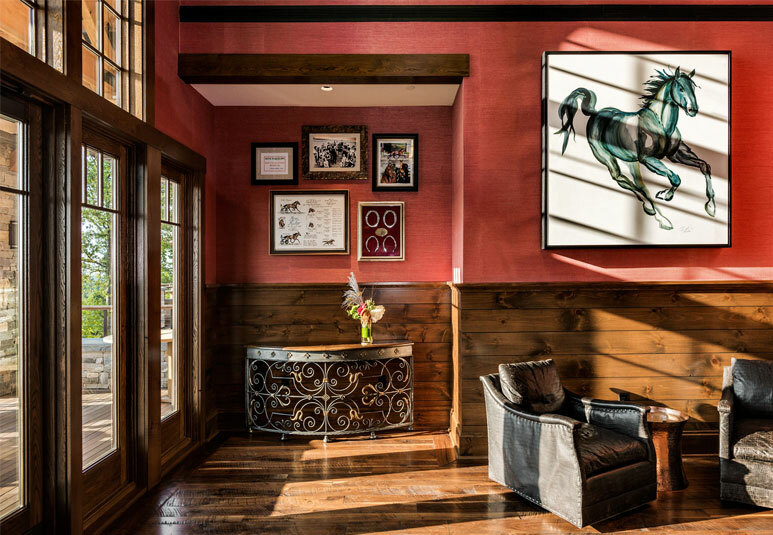 Inside, the clubhouse features tasteful tabletop inlays, furniture and artwork inspired by the owners’ passion for horse racing as well as amenities such as a Pro Shop, golf simulator, luxurious spa and fully equipped workout room. 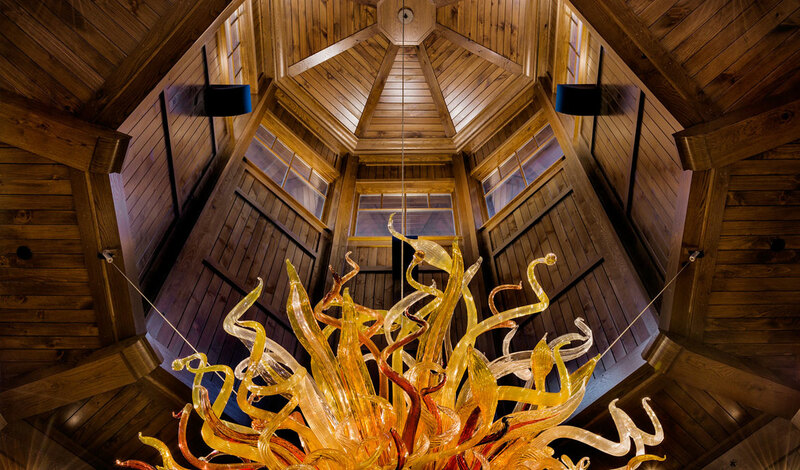 The signature work of art in the space is a chandelier by renowned glass artist Dale Chihuly, which hangs in the upper rotunda and can be viewed from all angles. 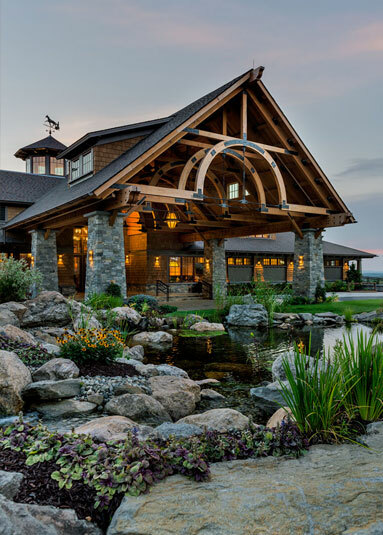 TMS wanted to utilize a variety of textures in the interior for both the eye and hand that were reminiscent of the equestrian lifestyle. These include copper ceiling tiles, faux horse hair wallpaper, cow hides on backs of the chairs on the bar and granite with deep bronze silica deposits for sparkle among many other finishes.